MANKAYAN, Benguet – Mayor Materno Luspian expressed his uncompromising support to a proposed law filed by Rep. Ronald M. Cosalan for the use of a portion of the funds earmarked by the public works department for national roads for the rehabilitation and upgrading of barangay roads in the different parts of the country. 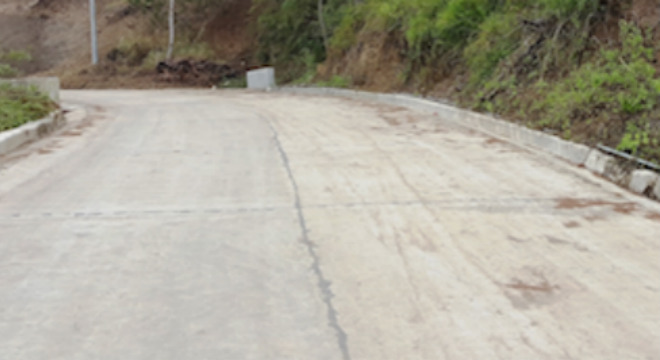 The local chief executive underscored that Benguet has been a recipient of billions of pesos worth of public works projects that were used to improve inter-municipal, inter-provincial and inter-regional connectivity wherein almost all of the national roads in the province had already been improved during the terms of Rep. Cosalan, thus, the need for the national government to spare a portion of its available resources to start improving the state of barangay roads nationwide. “We support pending proposed legislations for the use of a portion of the funds being allocated by the public works department for national roads to start rehabilitating and upgrading barangay roads in the different parts of the country. The national government played a key role in facilitating the paving of our national and major arterial roads and funds must also be earmarked for barangay road improvements to help in cascading to the grassroots the desired economic growth,” Mayor Luspian stressed. He pointed out the government must also invest in the rehabilitation and upgrading of barangay roads to contribute in the development of remote villages in the different parts of the country towards improving the lives of people in the countryside. Earlier, Cosalan filed a proposed bill in the House of Representatives mandating the use of available national funds in the public works department for the rehabilitation and upgrading of barangay roads in the different parts of the country as part of the strategy to spur economic growth in the countryside. Luspian claimed that helpful proposals of Rep. Cosalan must be pursued in the House of Representatives to ensure continuity in the implementation of major infrastructure projects as instruments in spurring economic growth beneficial in uplifting the living condition of the populace. Luspian is a 5-term municipal mayor and a 2-term president of the League of Municipalities of the Philippines (LMP) Benguet Chapter which indicates his vast experience in transparent and accountable governance. He is also an incumbent member of the LMP National Executive Board. Cosalan, who will be ending his 5 terms as the representative of the lone district of Benguet to the House of Representatives, endorsed Luspian’s candidacy to be his successor. Luspian asserted Cosalan achieved numerous accomplishments in terms of helping improve the condition of road networks in the different parts of the province, thus, it will be difficult to replicate his significant accomplishments but he will try his best to continue making representations with the concerned government agencies for the sustained allocation of substantial budgets for the implementation of high impact development projects provincewide.